5 Technology Observations to Start Your Day, Nov 18 — After Nines Inc.
Good morning, I.T. entrepreneurs. A deep chill hovers across the U.S., but my inbox remains hot with rumors. Here are five technology news nuggets, rumors, gossip, insights and observations to start your day for Tuesday, Nov. 18, 2014. 10. Cookie Crumbles: AT&T has ended a so-called "supercookie" tracking program on mobile devices. Advertisers and app developers potentially benefitted from the program, which secretly tracked mobile users' behaviors. Verizon, meanwhile, continues to run a similar supercookie effort. 9. Standing Up Against the NSA: Apple, Facebook, Google, Microsoft and several other IT giants have asked the U.S. Senate to pull back the NSA's spying powers -- which have triggered online privacy fears worldwide. Absent from the petition: Joseph Gordon-Levitt. 8. AWS for DevOps Leaders: The news was fast and furious at Amazon's AWS re:Invent 2014 conference last week in Las Vegas. In fact, you could get overwhelmed by all the cloud developments. If you want a simplified look at AWS enhancements that could benefit DevOps and startups moving workloads to the cloud, check out this NetworkWorld recap. I'm particularly interested in CodeDeply, which lets developers automate the process of deploying and updating applications on AmazonEC2. 7. Cloud - Less Tech, More Biz: So, you want to become a cloud master? Maybe you should focus more on the business side of the conversation, and less on the tech side. According to Gartner, the most successful cloud managers will master vendor relationships -- and not the underlying tech code found in each cloud. Generally speaking, I agree. I manage our cloud relationships here at After Nines Inc., and you'd hardly consider me a hands-on coder (then again, maybe that's a bad thing...). 6. Reality TV Pays Big: Groovebook, which raised money on Shark Tank, has been acquired by Shutterfly for $14.5 million. During an earlier episode of Shark Tank, Mark Cuban and Kevin O'Leary invested $150,000 for licensing rights only. The money -- or perhaps the TV exposure -- certainly helped Groovebook, which offers a photo-printing app for personalized photo books. Over an eight-month period, GrooveBook grew to 18,000 subscribers before the show aired. After the show, paid subscriptions rapidly grew to 500,000 people. 5. (Small) Business Intelligence: InsightSquared, which develops "affordable business intelligence" solutions for SMBs, has raised $13.5 million in Series C funding. CEO Fred Shilmover claims InsightSquared is easier to use than Excel. InsightSquared is targeting CEOs, VPs of sales, CFOs and VPs of marketing -- "people like you" -- the company asserts. 4. Join Me At 1pm ET: It's Tuesday. That means I'm co-anchoring Tech News Today with Mike Elgan at 1pm ET/10am PT. Tune into the live broadcast here (http://live.twit.tv) or check the archived recordings here (http://twit.tv/tnt). 3. Less Is More: Samsung plans to cut its smartphone portfolio by about 30 percent. The important lesson here for I.T. entrepreneurs: Too many products within a single category can trigger (A) bloated design and product sourcing costs, (B) inflated manufacturing costs and (C) customer confusion as potential buyers become overwhelmed by all the options. 2. Mobile Payments Trigger POS Revolution? : I keep harping on Apple Pay, and the opportunity ahead in the mobile payment market. We'll offer up a deeper report next week (that blog's already written, wink, wink) but in the meantime check out these realities from GizModo and The New York Times: Whole Foods, Walgreens and McDonalds all say Apple Pay has triggered a sharp increase in smartphone-based mobile payments at their point of sale (POS) systems. So if you're in the point of sale game, there's no turning back. Even more conservative coverage from Engadget points to Apple Pay's promising start. 1. Good Evening, I.T. 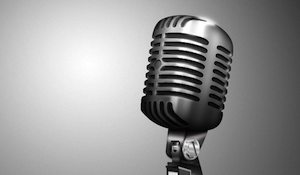 Entrepreneurs: Don't forget... Our latest podcasts are set to debut tonight at 9:01 p.m. ET. Our guests include Boundary CEO Gary Read (on raising $22 million and monitoring Amazon's cloud) and former Kaseya CEO Gerald Blackie on the start, middle and end of a business journey. We're also working hard to get a third podcast ready for debut tonight or within a couple of days. The guest: Lisa Marie Jenkins, describing her journey from big IT (at Cisco Systems) to the entrepreneurial freedom. Check the complete schedule here: www.AfterNines.com/CEO. Older PostGartner's 5 Big Data Myths: Fact or Fiction?